News UK chief executive Rebekah Brooks has promised its planned £220m acquisition of talkSPORT owner Wireless Group will mean better content and a strong "cross-platform sell" for advertisers. Adding Wireless, with about £75m in revenues, should give News UK greater scale in negotiations with media agencies and a more "powerful network", according to Robert Thomson, the chief executive of News Corp, the parent company, which is controlled by Rupert Murdoch. Brooks told Campaign that News UK’s flagship title, The Sun, was "perfectly matched" with talkSPORT and expects the two brands to collaborate in areas such as sponsorship, where Wireless has already done "amazing things" for clients. However, she is planning to keep the two ad sales operations separate at least in the immediate future. "There can be things we can do together, there are things we can do separately," she said, noting it is only a "proposed acquisition at this stage". A source close to the company pointed out that newspapers and radio tend to be sold differently. Brooks said: "I’m excited on two fronts. The combined broadcast and journalistic talent in both companies presents a great opportunity to make even better content. 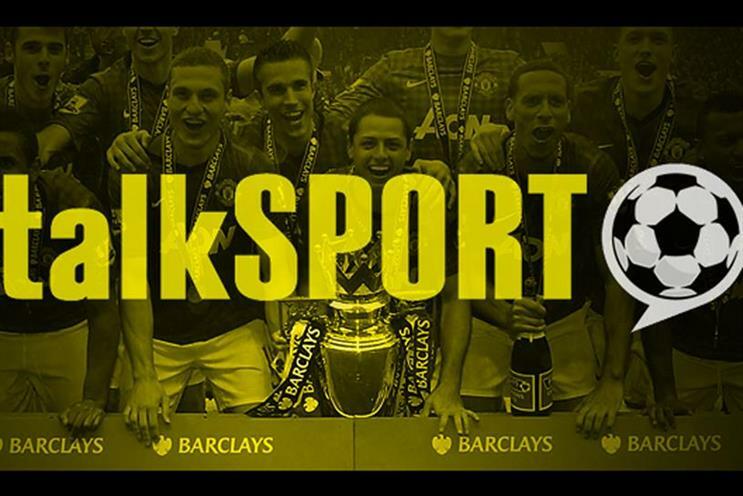 "If you think about talkSPORT and The Sun, the audiences are perfectly matched. The other opportunities in talkRADIO and Virgin Radio [also part of Wireless] mean we can emulate the success of sport in other areas like news, business and entertainment." It is expected that some News UK journalists will become involved in broadcasting. Brooks added: "On the other front, to be able to cross-promote our brands and offer some new and exciting avenues for advertisers and sponsorship is great. "Both companies have trusted and established brands, both companies have loyal and engaged audiences. If you think about what advertisers are asking for now, a cross-platform sell is a fantastic opportunity." Thomson said Wireless’s involvement in sport beyond the domestic radio market also appealed to News Corp, which already has sports rights in Australia and east Asia. He cited the TalkSport owner’s worldwide audio rights to the English Premier League and its free, weekly print title, Sport, which is ad-funded and the biggest men’s sport magazine in the UK with a 300,000 circulation. News UK is the number one player in the British national newspaper market, with over 30% share, whereas Wireless is only third with about 10% of radio behind Global and Bauer. However, Richard Huntingford, executive chairman of Wireless, said: "For the commercial radio industry as a whole both here in the UK and Ireland, having a new player with the stature and global media experience of News Corp is going to be a major boost." It should help commercial radio "grow its share of the radio advertising cake" and "extract more advertising revenues and budgets, particularly for the digital offering we have". Huntingford went on: "Radio for years has been sold on an all-adult basis. What’s really interesting here is the opportunity to move to a more segmented demographic sell [by combining radio with News UK’s newspaper-reading audience] so that one can extract better yields." Expanding in radio should boost turnover at News UK because radio has enjoyed several years of rising revenues – unlike the newspaper business where sales have been squeezed as digital growth has struggled to offset print decline. News UK has already been diversifying, spending up to £114m on the online video business Unruly last year. News Corp said in its last quarterly results that UK print ad revenues fell by a mid-teen percentage. However, Brooks noted the Brexit drama has been good for circulation of its titles and The Times had done "exceptionally well". It added 100,000 copies on Saturday. Thomson said the turmoil, which sent stock markets and sterling crashing last Friday, had not derailed the takeover. US-based News Corp paid a 70% premium for Wireless. "Brexit certaintly didn’t deter us because we saw the unique value in the assets," Thomson said, stressing News Corp’s confidence in the UK’s economic future. "In foreign exchange, it’s been rather fortuitous. The pound has declined somewhat. Not only this investment but other investments from outside Britain into Britain have become better value." Thomson also pointed out Wireless has a strong radio operation in Ireland which is "very important to us" as News UK operates Irish editions of its newspapers. The Sun backed Leave while The Times wanted Britain to Remain. Thomson knows Michael Gove, the Tory leadership candidate, because the pair worked at The Times together. When Thomson was the editor, Gove edited the Saturday edition of the paper. "Any intelligent thought in The Times when Michael and I were there was Michael’s," Thomson said.